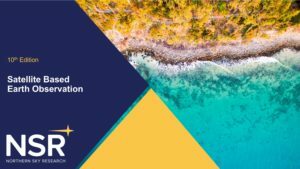 NSR’s Satellite-Based Earth Observation (EO), 10th Edition is the industry-leading, definitive analysis of this rapidly-changing global EO market. 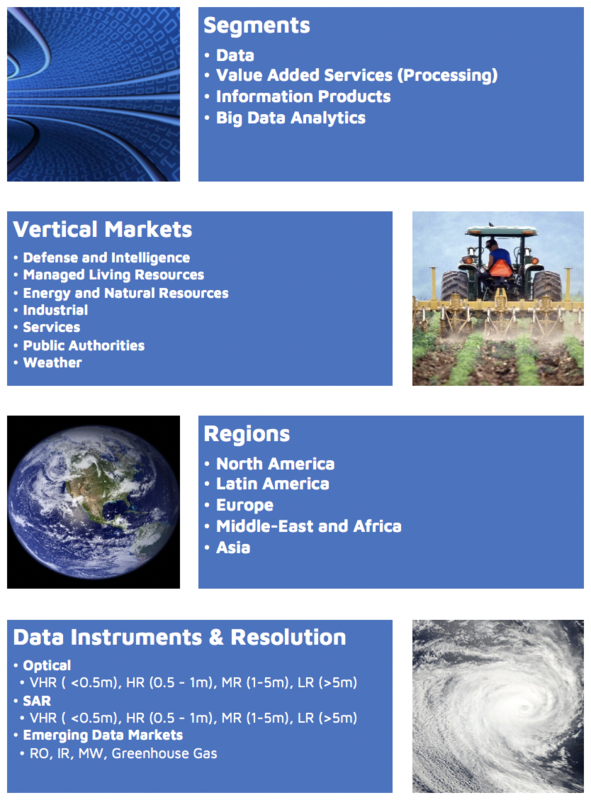 From the data collected and delivered via satellite, through value added services, to information products, and Big Data analytics and insights, this latest NSR report offers the most comprehensive analysis of the fast growing EO markets for every resolution, vertical, and region. The Earth Observation business is one of the most dynamic, diversifying, and fast-growing in the satellite industry today. 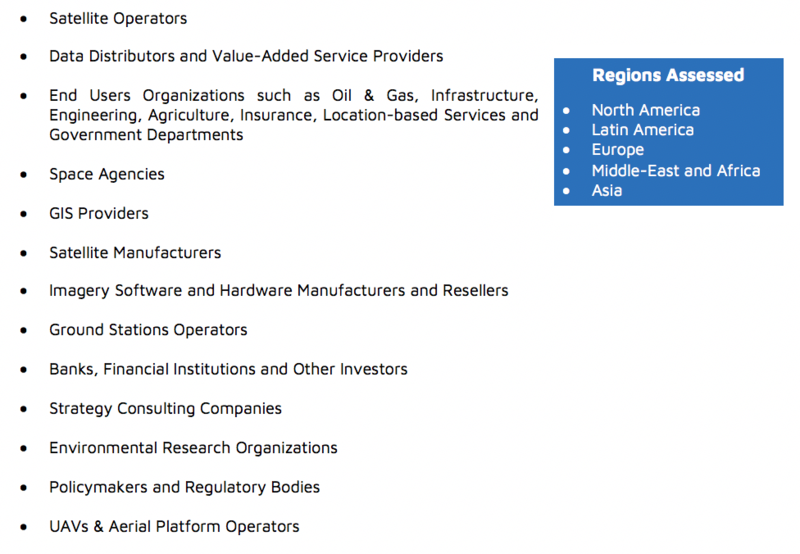 With investment continuing to grow for satellite constellations, new technologies and capabilities unlocked by machine-learning and artificial intelligence, as well as new business models expanding the addressable market by enticing non-traditional customers, the EO business is fully supported by demand throughout the value chain. 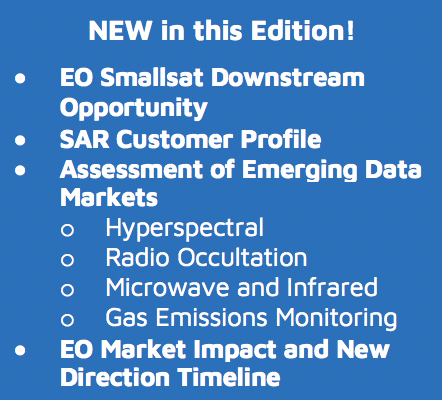 NSR’s report on EO markets offers unique analysis of 7 different vertical markets, across 5 regions, for 4 different instrument resolutions, and two types of imagery (optical, SAR). Additionally, assessment is provided on the growth and direction of emerging EO data types, such as hyper-spectral imagery, radio occultation, infrared, microwave, and gas emissions monitoring. Furthermore, NSR takes an in-depth analysis and breakdown of revenues, by instrument resolution, for each type of EO product, Data, VAS, IP, and Big Data analytics. This report provides a complete assessment of Defense & Intelligence, Managed Living Resources, Energy & Natural Resources, Industrial, Services, Public Authorities, and Weather verticals with a thorough analysis and 10-year forecast of revenues across all regions. 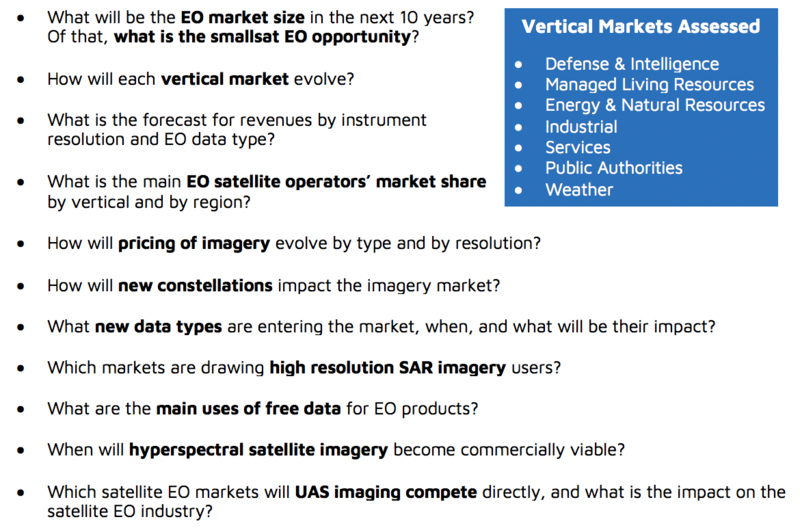 Bottom Line: How does NSR see the Satellite-Based Earth Observation market develop and evolve in the next 10 years for each region, vertical, resolution, and type of data? NSR’s Satellite-Based Earth Observation (EO), 10th Edition, offers superior value by giving readers a completely updated evaluation of the market for satellite-based data and through hundreds of graphs and thousands of data points which clearly indicate the evolution of the market, presenting and analyzing the most recent trends impacting demand by region and globally in the coming decade. Who Should Purchase this Report? Have Questions on the Content or Scope of this Report? Companies and Organizations mentioned in NSR’s EO10: Orbital Insight, Iceye, Descartes Labs, Satellogic, Planet, Astro Digital, Capella Space, GHGsat, Ursa Space, Urthecast, Dares, eoSphere, GlobeSAR, SatSure, OpalCrest, Planetek Italia, Airbus DS, DigitalGlobe, Maxar, PlanetIQ, Spire, GeoOptics, SIIS, Imagesat, e-Geos, Antrix, DMCii, CSST New Zealand, BlackSky Global, Gago Group, Rezatec, SpaceKnow, Radiant Solutions, Farmer’s Edge, Geosys, Globalsat, Ecometrica, Ball Aerospace, and FIMI Opportunity Funds. 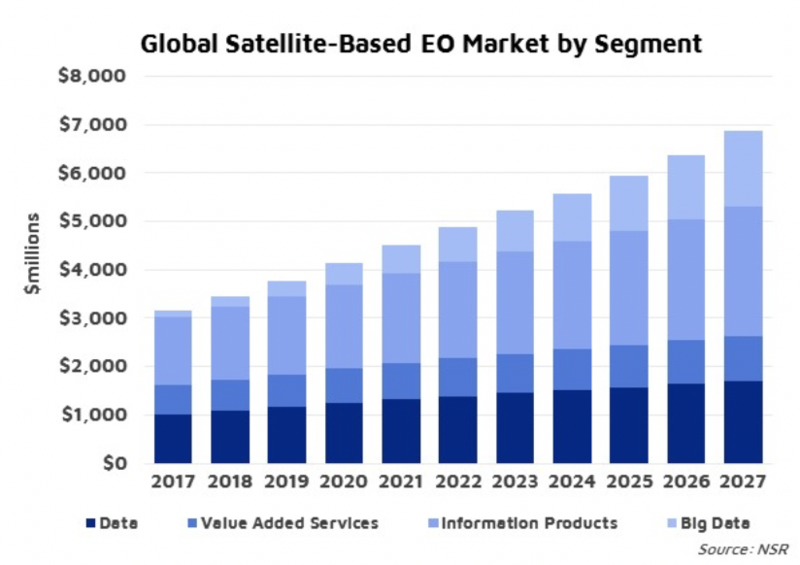 EO Smallsat Market: Where to Go from Here?